An update on L.L., the seven year old who in 2005 received emergency treatment from a pediatric cornea specialist for a viral corneal infection, thanks to children’s Emergency Resources. The family successfully applied for Medicaid after the initial treatments and continued to follow up with the specialist and with the optometrist. Thanks to prompt and effective treatment the corneal scarring was minimal. In 2008 J. L. was promoted to firth grade with the President’s Academic Fitness Award for Educational Excellence, scoring in the 85th percentile nationally on his achievement tests. P. was a teen mother living with her husband and their two year old and two month old in one room of a single family home The family acquired scabies, an infestation by a mite that burrows under the skin and causes intense itching especially at night. The family was covered by Medicaid and was treated at the Health Department clinic. Unfortunately the problem persisted and the doctor wanted to order a second treatment, but Medicaid would not pay for a second round of medication until the end of the month which was still five days away. The young mother asked the doctor to call her school nurse, who had used Children’s Emergency Resources in the past to pay for her glasses. The nurse was able to arrange for children’s Emergency Resources tro provide the medication for the family. While not a life-threatening emergency, anyone who has had scabies knows the torture that waiting five more days would have caused, especially for the infant. A four year old Head Start student was covered by Medicaid and her mother took her regularly to the dentist. The dentist identified a cross-bite and recommended an appliance that would correct the problem and prevent more problems as the child’s permanent teeth came in. Unfortunately the appliance would cost $1400.00 and Medicaid would not cover it. For a single mother of three working at a fast food restaurant, this was way beyond her means. Children’s Emergency Resources discussed the situation with Dr. Vakani, an orthodontist who has worked with us in the past. He agreed to see the child and provide the appliance at a significant discount. The hardworking mother was very grateful to Children’s Emergency Resources for providing the appliance. J., an uninsured kindergarten student was seen by the primary care doctor at the Health Department who identified a “lump in the throat” and sleep apnea and requested a referral to a pediatric ear nose and throat specialist. The family was unable to afford specialty care. Children’s Emergency Resources was able to pay for a visit to Treasure coast ENT, where the specialist diagnosed acute tonsillitis and cervical lymphadenitis. He prescribed antibiotics and Medrol and requested a follow up visit, which Children’s emergency Resources also paid for. The family was referred to Florida Kid Care to apply for low cost health insurance. Michael, at the tender age of 7 has certainly not had an easy life, yet he remains full of life, energy and spirit. His medical needs were brought to my attention through his school because they thought he had a contagious skin condition on his scalp. The condition left him with multiple bald patches which were psychologically impacting him as well. He did not have any medical coverage and Children’s Emergency Resources provided a voucher for medical attention. Medication was purchased and little by little, his hair began to grow in. Through it all, he never lost his contagious smile. CERI also provided follow up and additional needed medication for him. CERI provides vital support to the many children in our community who are falling through the cracks and left without access to health care. I don’t know what we would do without CERI in Martin County. O. is a sixteen year old boy attending South Fork High School. He was experiencing terrible back pain and painful urination. He was seen in the ER at Martin Memorial and referred to a urologist. The nurse at school was aware of the situation because he was not allowed back in school without follow up. Mom could not afford all the costs that would be involved with the follow up care. She contacted the urologist herself and was willing to pay for the doctor visit. She needed help with the testing. The school nurse referred the family to CERI. CERI worked with Martin Memorial Medical Center and arranged all the testing that was necessary. J.O. was diagnosed and treated. He is now back at school pain free. A ten year old wheelchair bound student with spina bifida was growing too big to be picked up to transfer him from the wheelchair to a regular chair, bed, etc. At school the physical therapist taught him how to use a transfer board to scoot himself from the chair to the changing table. A physical therapy consult was ordered for the home to teach the family how to use the transfer board. Medicaid would not pay for the board, so CERI paid for the transfer board at home. All the children who attend Martin County Public Schools are now screened at least once a year for vision. These machines were paid for by CERI. Countless students fail these tests and then are sent for follow up with an eye doctor. Many of these children do not have insurance or the resources to pay for these visits. CERI works with several providers in the area who see these children and provide glasses for them. Children who may never have had this opportunity return to the classroom with improved vision. R, an eleven year old female, fell while skateboarding. She was taken to the emergency department where x-rays revealed a right wrist fracture. She was placed in a splint and referred to an orthopedic doctor. The school nurse noticed she was still in a temporary splint two weeks later and inquired about it. It turned out that her Medicaid had lapsed, and while mother was doing all the necessary paperwork to re-enroll, she was not able to afford the large fee that the orthopedist required. Children’s Emergency Resources was able to negotiate a reduced rate with South Florida Orthopedics and the child was seen by an orthopedic doctor. Q., a thirteen year old middle school student, was punched in the eye by another student in what started out as a playful wrestling match and got out of hand. It happened at home on the weekend. On Monday mother took the student to a local community health clinic and they suggested he go straight to the emergency department. Mother brought G.Q. to school and explained to the nurse that she had no insurance and no money to pay for an emergency room visit. The school nurse called one of our Children’s Emergency Resources optometry providers, who agreed to work the student in right away. On examining the student the doctor was concerned and also referred the student to the emergency department. The school nurse gave mother the name of someone in social services that could assist her to apply for insurance coverage. The ER doctor saw the student and recommended an opthalmology consult within forty-eight hours. The nurse arranged for a discounted rate with Stuart Eye Institute, who kindly agreed to work him in the same day, and Children’s Emergency Resources paid for the consult. V., age five, got a stick stuck in the sole of her foot while playing. The stick was removed and she was taken to the emergency department where her mother was advised to soak the foot and keep it clean. Five days later E.V.’s Kindergarten teacher brought her in to the school nurse saying that she was “walking funny.” On examination the nurse found the foot to be swollen and inflamed with red streaks radiating out from the original wound. Mother had no insurance and had applied for Florida Kid Care but had not received a response. Children’s Emergency Resources paid for a visit to the local community health center where the child was treated for an abscess. F.J., a Kindergartner, was having trouble both at school and at home with staying on task, inattention, forgetfulness, over activity and cognitive problems. His parent had applied for Florida Kid Care but had not received a reply. Children’s Emergency Resources paid for an evaluation by the child’s physician. With parent permission, the nurse supplied data and checklists from the school to assist the doctor in his evaluation of a possible medical basis for the child’s problems learning. A single father called to request help paying for a one time fill of medications for his daughter who was recently diagnosed with juvenile rheumatoid arthritis. He had been through a very difficult year with several moves and job changes. The child’s Medicaid was abruptly cancelled and he was in the process of applying for Florida Kid Care, where the worker referred him to us. He had a new steady job as a sous chef but had exhausted his savings. The Prescription Shop was good enough to call Walgreen’s where the prescription was and have it transferred. Unfortunately it had no refills left and the Prescription shop contacted the rheumatologist in Miami. Eventually we were able to supply the young lady with a month’s supply of Methotrexate, Prevacid and folic acid for $180.59. A case manager at Martin Memorial called requesting help to purchase a six week supply of AZT for a newborn whose mother was HIV positive. Project Response was unable to help until they had a positive lab test on the infant. We were willing to help but the hospital eventually decided to pay for the medication. The case manager was very interested in Children’s Emergency Resources and very impressed with our willingness to help. A grandmother of a Jensen Beach High School student called requesting help for her grandson, who was temporarily living with her and her husband, who had cancer. The young man’s mother died suddenly a year and a half ago and his father was incarcerated. He was being seen by a Hospice counselor at home and a mental health counselor at school but he needed dental work. The grandparents lived in Port St. Lucie and I called Dale for special approval in this case. We approved $250.00 for dental care at the Martin County Health Department. We paid for several visits to Treasure Coast Ear Nose and Throat for a second grader who repeatedly failed his hearing test at school and for the pediatrician. The ENT was not able to clear the infection and recommended bilateral tympanostomy tubes. I requested help from the Martin Memorial Foundation to pay for the surgery. A ten year old girl was hit in the mouth by a rock thrown by another student. Her left front tooth was broken off at the gum line. Both students lived in the FEMA trailers following the devastating hurricanes of 2004-2005. A police report was files, but the other family also lived in poverty and was unable to help with the medical expenses. The child was taken to the rural community dental clinic. The dentist there said she needed an immediate root canal to save the tooth. Mother called Children’s Emergency Resources who paid for the root canal to be done by Dr. Limoli in Indiantown. He told mother that an orthodontic evaluation would be needed to align the upper teeth so that a crown could eventually be done. Children’s Emergency Resources also paid for the child’s orthodontic treatment, which is still ongoing. A seven year old boy born in Mexico is two and a half years in remission from cancer. His parents have no health insurance and as a non-citizen he does not qualify for Medicaid or Healthy Kids. He is followed by Children’s Medical Services under their “Safety Net” program which pays for clinic visits only. CMS requested help to pay for five diagnostic tests which the pediatric oncologist ordered. Children’s Emergency Resources paid for the EKG, chest x-ray, and pulmonary function tests. Martin Diagnostic Center generously gave us their Medicaid rates. For the additional tests CERI requested help from the Martin Memorial Foundation, who generously arranged for the CT scan and echocardiogram to be done at no charge to the family. A kindergarten student had a borderline vision screening failure at school with the high-tech Welch Allyn Sure sight purchased by Children’s Emergency resources. CERI paid for a visit to a local optometrist who referred her to a pediatric ophthalmologist. CERI also paid for the specialist visit. He diagnosed amblyopia and ordered corrective lenses. This condition can lead to permanent vision loss if not detected and treated early. Traditional “picture chart” screening would not have picked up this condition. A sixteen year old student at Jensen Beach High School suffered from severe chronic headaches. Children’s Emergency Resources approved two visits to a neurologist who specializes in headaches. The doctor ordered an MRI of the brain with and without contrast for which the Board voted to approve payment. Beaches MRI generously discounted their rates for us. The student is currently on homebound schooling and a treatment regimen. He is scheduled for a follow up visit. Children’s Emergency Resources purchased 25 digital thermometers for the teen mothers at the Indiantown Teen Parent Center where they will be taught how to use them to assess their babies when they are sick and how to decide whether a doctor visit is needed. CERI also purchased 308 bottles of “Not Nice to Lice” mousse, a natural product without harmful pesticides, and 400 “Terminator” metal nit combs for children in the Martin County schools. Our intention is to provide treatment for head lice for those who can’t afford it and get the kids back in class as soon as possible. A worker from the Whole Child Project called Children’s Emergency Resources requesting help for a six year old girl with “a growth in her throat.” Upon further research the nurse discovered that the child had been seen six months ago at the Martin County Health Department for hypertrophied tonsils and sleep apnea. She had been referred to an Ear, Nose and Throat specialist, but the family did not have the means to pay and did not qualify for Medicaid because of their immigration status. 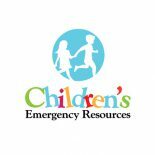 Children’s Emergency Resources arranged for the child to be seen by one of our providers, Dr. Nunez of Treasure Coast ENT. The parent was extremely grateful and the worker was amazed that we were able to provide help so quickly. C. had recently emigrated with her family from Mexico. She was learning English quickly and doing well in school. She had severe dental cavities which were causing her excruciating pain She did not qualify for Medicaid or Florida KidCare as she was not yet a US citizen. Children’s Emergency Resources paid for several visits to the local community dental health clinic where she unfortunately needed several extractions of her permanent molars. Children’s Emergency Resources also paid for sealants on five remaining molars to protect her from future decay, and the dental clinic staff instructed her on the importance of good oral hygiene. L. was a sixteen year old high school student. She came to the US with her family ten years ago from Guatemala and is now fluent in English and Spanish as well as her native tongue. In addition to her high school studies she tutored an elementary school student for an hour each week and volunteered her language skills to translate for a mental health organization. She also worked part time for a day care center and worked cleaning houses and babysitting to earn money for college. She had dental pain and bleeding in the upper front gums due to her teeth being improperly aligned. Her Big Sister, a social worker, nominated her for a free orthodontic treatment in a contest being offered by a local orthodontist. She was chosen to receive the free treatment! Children’s Emergency Resources paid for the preliminary dental work (cleaning, x-rays and fillings) and the orthodontist applied braces to straighten her teeth and correct the gum problem. C. eleven years old, had lost both parents and came to the US from Guatemala to live with his older brother whose family of six lived in a mobile home. He fell while playing and received severe abrasions on his face hear his right eye. The school nurse noticed that the area appeared to be infected. The student had no medical home and no insurance. The nurse arranged for the student to be transported to Martin Memorial Medicenter in Palm City with a translator. Children’s Emergency Resources paid for the doctor visit and also for the antibiotic the doctor prescribed, which eventually cleared the infection nicely. The school mental health counselor requested help from Children’s Emergency Resources for R.G., a nine year old student with a diagnosis of Attention Deficit Hyperactivity Disorder. He lived with his grandparents, his Medicaid had lapsed, and without his prescribed medication he was not able to focus and stay on task in the classroom, with consequent falling grades. Children’s Emergency Resources paid for a visit to R.G.’s doctor to re-evaluate for ADGH, meanwhile the school social worker made a home visit to assist grandma to reapply for health insurance for him. The doctor prescribed the medication and Children’s Emergency Resources paid for one fill, thus keeping R.G. from falling behind while the process for reinstating health insurance was completed. There is an addendum to F.M.’s story. Welch Allyn was so impressed with the account of how the high tech vision equipment had detected his vision problem and how his grades improved with his new glasses, they flew F.M. and his entire family to Washington D.C. for a weekend where they were promoting the benefits of technology in school vision screening programs. What an educational experience for the family! G. was a five year old Kindergarten student who was born in Guatemala. The nurse was unable to do a vision screening with the standard eye chart due (she assumed) to his immaturity and difficulty following directions. Readings with the WelchAllyn Suresight vision screener indicated his vision was “out of range.” Children’s Emergency Resources paid for a visit to Dr. Arick who prescribed strong corrective lenses for L.G. and told the nurse it was the worst case of astigmatism he had seen in thirty years. Early correction of this problem gives L.G. a much better chance of success in school. P was a third grader born in Mexico and therefore ineligible for Medicaid or low cost state health insurance. He failed his vision screening at school and Children’s Emergency Resources paid for a visit to the eye doctor who prescribed glasses for a close up vision problem and astigmatism. Later in the same school year A.P.’s little brother threw a toy truck and hit A.P. in the face, breaking his front tooth. Children’s Emergency Resources paid for restorative work on the front tooth at Dr. Limoli’s office and A.P. now has a beautiful smile. H. was repeating first grade and had repeatedly failed his hearing screening. Children’s Emergency Resources paid for several visits to Treasure Coast ENT, where Dr. Nunez said he would benefit from ear tubes. By this time M.H.’s Dad had obtained health insurance for the family but due to the “pre-existing condition” the insurer would not pay for the surgery for another year. The nurse contacted the Martin Memorial Foundation for help. Martin Memorial Foundation paid for the surgery, the surgicenter and the anesthesia. M.H.’s hearing is much improved as he moves on to second grade much better prepared to learn. M. was a sixteen year old high school student who was enrolled in the Medicaid program, but needed oral surgery to remove three impacted wisdom teeth. He was a good student and helped out at home but he was in severe pain. The family could find on local Medicaid oral surgery provider. Y.M.’s mother was a single parent of six children who worked for a landscaping company mowing lawns and doing yard work, she was unable to seek treatment for him far from home. The treatment plan would be $1510.00, and even with a payment plan this would have been a hardship for mother. One of the Children’s Emergency Resources board members, a dental hygienist, arranged for an oral surgeon to perform the surgery and he generously agreed to do it for about half the cost. children’s Emergency Resources paid $800.00 and the surgery was very successful. Children’s Emergency Resources provided a Welch Allyn Sure Sight Vision Screener to the Comprehensive School Health Program in Indiantown. Using this high tech equipment the school nurse detected a possible problem with astigmatism and close up vision in Francisco, a Kindergarten student whose parents did not speak English, nor did they have health insurance for him. A referral was made to the Jeppesen VisionQuest mobile outreach unit which provides eye exams and glasses to uninsured children in rural areas. When the vision van came, Francisco was prescribed a pair of glasses to correct farsightedness and astigmatism. His teacher had previously done an achievement test with Francisco and he scored a 48%. She decided to retest him with his new glasses. Francisco scored a 95% on the same test! His vision problems would probably not have been detected with traditional eye chart screening. M. was a sixteen year old student at Community Christian School. She was diagnosed with high blood pressure and referred to Children’s Medical Services in Ft. Pierce. CMA is a Department of Health program that provides care to children with serious or chronic physical conditions in the four county area. since N.M. was a non-citizen, she did not qualify for Medicaid despite being income eligible. CMS provided specialty cardiology and nephrology clinic care but was not able to provide outside tests and studies. N.M.’s doctor ordered a magnetic resonance imaging study for the renal vessels. The CMS case manager called Children’s Emergency Resources for help. Martin Imaging Services kindly agreed to give CERI their Medicaid rates and the young lady had the MRI which would help rule out intrinsic glomerular disease as a cause for the hypertension. Another patient of Children’s Medical Services, D.M. needed an echocardiogram. D.M., a second grader at Warfield Elementary School, had a heart problem, mitral valve incompetence and possible pulmonary hypertension. Both parents worked hard to support their family of six but made a little too much money to qualify for Medicaid. The school social worker assisted the family to complete an application for Florida Healthy Kids, meanwhile Children’s Emergency Resources paid for the echocardiogram. A single mother called the Children’s Emergency Resources number to request help because she and her two daughters had just moved to Stuart from another state. Mother had applied for Florida Medicaid and was waiting for approval but meanwhile her eight year old daughter was running out of her medication for Attention Deficit Disorder. Children’s Emergency Resources paid for a visit to a local pediatrician and for one fill of the medication so the child could continue to be successful in school while the family got settled in their new location.